'A partnership is an agreement between two or more partners to work together to achieve common aims'. The characteristics of successful and unsuccessful partnerships. The difference between partnership and other forms of participation. lUnequal and unacceptable balance of power and control. It may be easier to develop an appropriate approach to partnership if you have a simple theoretical framework for thinking about the wider issues of participation. 4 Consultation. Again a legitimate step - attitude surveys, neighbourhood meetings and public enquiries. But Arnstein still feels this is just a window dressing ritual. Arnstein's ladder of participation suggests some levels are better than others. I think it is more of a case of horses for courses - different levels are appropriate in different circumstances. I suggest thinking of five levels - or stances - which offer increasing degrees of control to the others involved. Supporting independent community initiatives: You help others do what they want - perhaps within a framework of grants, advice and support provided by the resource holder. The 'lower' levels of participation keep control with the initiator - but they lead to less commitment from others. 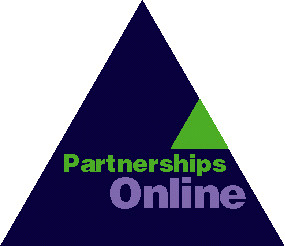 Partnership operates at the levels of Deciding Together and Acting Together. Information is essential for all participation - but is not participatory in itself. Will the different interests be able to develop a common vision - or will they simply argue for their individual priorities? Identify the stakeholders - the key interests who can help or hinder the project or programme - and put yourself in their shoes. Who holds the power? Use a range of methods to involve people - workshop sessions as well as formal meetings. Be sociable.